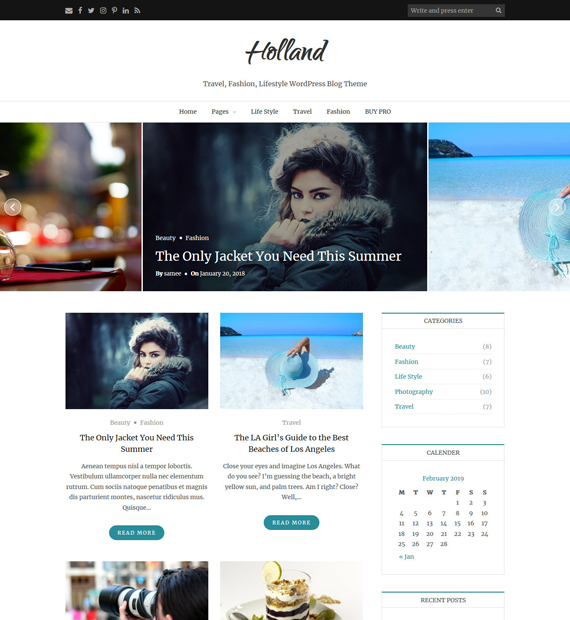 Holland is a beautiful and free WordPress theme made for fashion blogs, lifestyle blogs, travel blogs, photography blogs, or any other kind of blog website. Built on the Bootstrap framework, it is a powerful theme with many features. With different homepage variations, footer widgets, clean and modern design, translation support, not to mention easy customization, this theme is sure to bring life to your blogging site. This fantastic theme is also SEO optimized as well as fully responsive so your website will be able to reach a larger audience.